By Adrienne Rivera. Aug 4, 2017. 9:00 AM. Beatrix Potter's charming stories and enchanting illustrations have captivated children for generations. Indeed, ever since her first book, The Tale of Peter Rabbit, was published in 1902, children have learned valuable lessons from Peter and his cohorts, all while being delightedly entertained. All of Potter's books are still in print today, and in 2016 a previously unreleased book was published—The Tale of Kitty-in-Boots. Beyond her endurance as a much-loved children's writer, Beatrix Potter has served as an inspiration to many writers and illustrators. She was a woman who not only forged a path for herself in literature when the field of publishing was unfortunately dismissive of women, but in science as well. Her mycology illustrations have only begun to receive the recognition they deserve. Here are some writers who were inspired by Beatrix Potter and her enduring legacy. 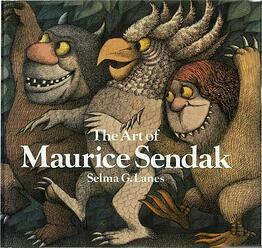 Maurice Sendak is perhaps the most important writer of children's books in the modern era. His Where the Wild Things Are is widely considered to be one of the best children's books ever written, and the story and illustrations serve as the inspiration for a heartbreaking and lauded Spike Jonze adaption. Sendak himself has served as a inspiration to up-and-coming illustrators for years, but it is somewhat less well-known that one of his own greatest inspirations was Beatrix Potter. Her ability to show the importance of telling even the smallest stories resonated strongly with him. He was a lifelong collector of her books, made a visit to her farm, and used her as an inspiration for his adaptation of The Nutcracker. The gritty and political works of George Orwell do not necessarily conjure up images of Potter's delicate, homey illustrations. 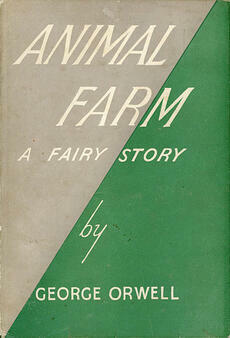 However, Potter was a childhood favorite of Orwell, and her story The Tale of Pigling Bland and Pigling Bland's rebellion and escape from a farmer that would turn him and his friend into ham served as an inspiration, along with Stalin's regime, for Orwell's Animal Farm. Like Potter's creatures, Orwell's animals are real individuals with complex needs. This is a major part of what makes Animal Farm such an important and enduring satire. Richard Adams initially struggled to find a publisher for his book, Watership Down. Inspired by—but deviating sharply from—the domestic, country tales in Potter's stories, the gritty and harsh struggles depicted in Watership Down led publishers to believe that it was too frightening for children but too young for adults. Eventually it did find a publisher, and while Adams did not ever achieve another success as great as his first book, Watership Down remains a book popular with both young readers and adults, proving its initial naysayers wrong. Though most well-known for her speculative fiction in works such as The Left Hand of Darkness and its related novels as well as the Earthsea series, Le Guin has also published several books for children. Her Catwings series focuses on an unusual litter of kittens born with wings because, some theorize, their father was a fly-by-night. Le Guin has made no secret of her admiration for Potter as a children's storyteller and illustrator. The tough subject matter of her books and S.D. Schindler's beautiful illustrations owe a clear debt to Potter.